Archeologists in Quebec City have discovered the first fortifications built in 1693 to protect New France from a major attack, in what is considered the first reinforced palisade of that era. “We knew we had to [be cautious] because usually we don’t find wood that deep in the soil,” said archeologist Jean-Yves Pintal, who was knee deep in the mud on the day the site was found. “It’s the first time that a reinforced palisade of that kind is found,” Pintal said Tuesday at a news conference organized by the Ministry of Culture and attended by Premier François Legault, as well as Quebec City Mayor Régis Labeaume. “It’s because Frontenac said that that this palisade was built,” said Pintal. “After the attack of 1690, they thought ‘We have a good geographical position, but strategically, we need to protect ourselves’,” said Lemoine. 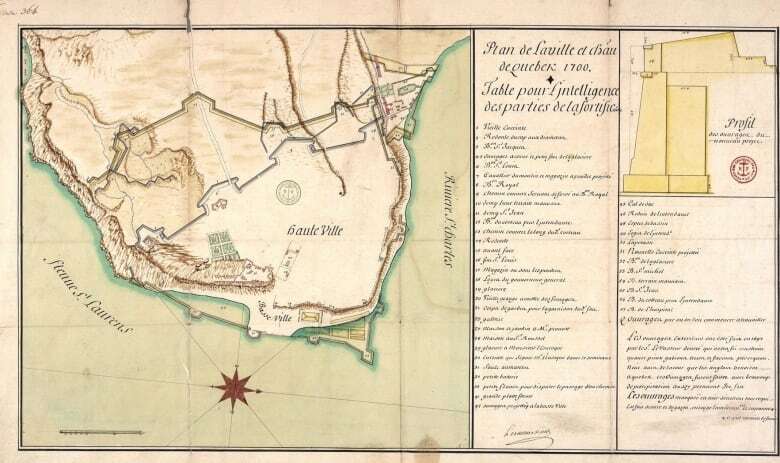 Decades later, under the growing threat of a British invasion, the French troops built the existing stone fortifications in 1745, a few dozen metres back from Beaucours’ palisade. “Historically it’s huge,” said Labeaume. Next What are restaurants doing to cut down on single-use plastics?